Warner Home Video, MTV Geek and The Paley Center for Media presented the world premiere of JUSTICE LEAGUE: DOOM on Monday night In New York. 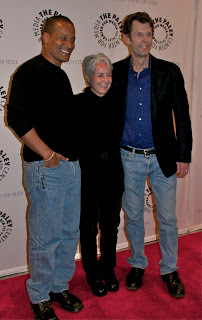 Attached is a photograph of the key talent present at the premiere -- from left, Phil Morris (Seinfeld, Smallville), dialogue/casting director Andrea Romano, and Kevin Conroy (Batman: The Animated Series). Photo courtesy of Gary Miereanu. Above is the latest animated clip from JUSTICE LEAGUE: DOOM, the highly anticipated next entry int he ongoing series of DC Universe Animated Original Movies. 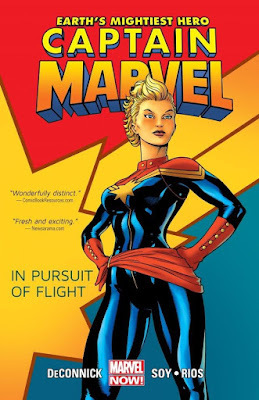 Warner Home Video will distribute the film on Blu-Ray, DVD and for Download on February 28, 2012.